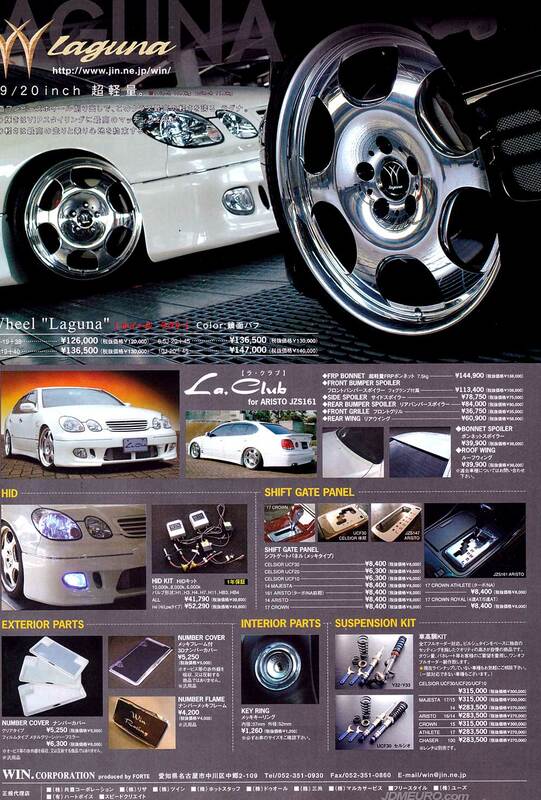 The Linea Limix 161 are VIP Wheels by JDM Wheels distributor Crimson Inc. The Linea Limix 161 feature a big, full face three spoke design and 2 piece construction. The Linea Limix 161 are VIP Wheels intended for big body VIP Cars and are only available in 18″ diameter. Pictured are the Linea Limix 161 on a Toyota Aristo. 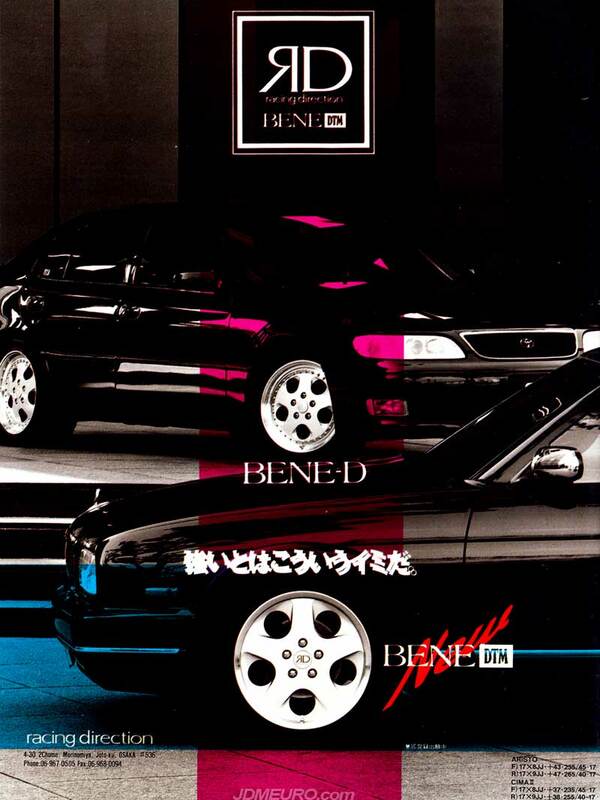 The Racing Direction BENE-D and Racing Direction BENE DTM are JDM Wheels with a bit of a lixurious look. Both feature a 5 Spoke / 5 Hole face design and multi-piece construction. the Racing Direction BENE-D features a stepped lip and exposed fasteners foe a nice aggressive look; while the Racing Direction BENE DTM has hidden hardware eith bigger face and reverse mount for a smoother look. Both the Racing Direction BENE-D & Racing Direction BENE DTM are Rare JDM Wheels and fit the bill for a performance or VIP look. The WIN Racing Laguna are 6 spoke VIP Wheels that came in 19″ and 20″ Diameters. Win RAcing also makes other VIP items such as Body Kits, Coil Overs and Interior parts. 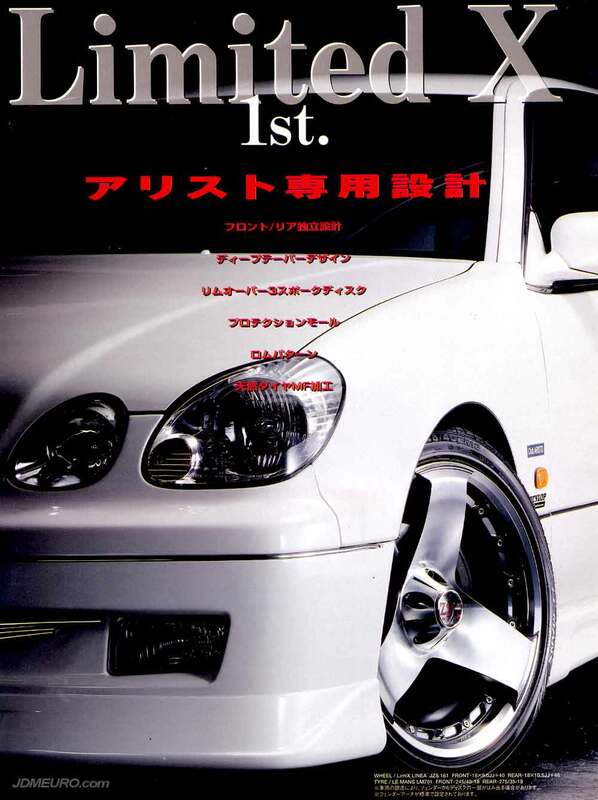 Pictured are the WIN Racing Laguna on a Toyota Aristo. The AME Modelart are JDM Wheels with a fancy twist made by Enkei Wheels in Japan. The AME Modelart features a smooth 5 spoke profile with a center cap to hide the lug nuts to a point center. The Modelart features 2 piece consruction and stepped lips. 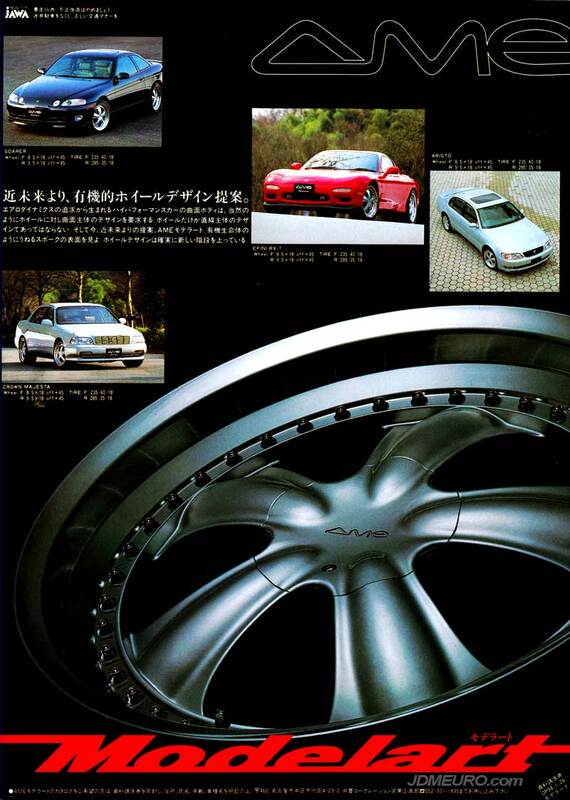 Pictured are The AME wheels on a Toyota Soarer, Toyota Crown Majesta, Toyota Aristo and the fastest of the bunch FD3s Mazda RX7.